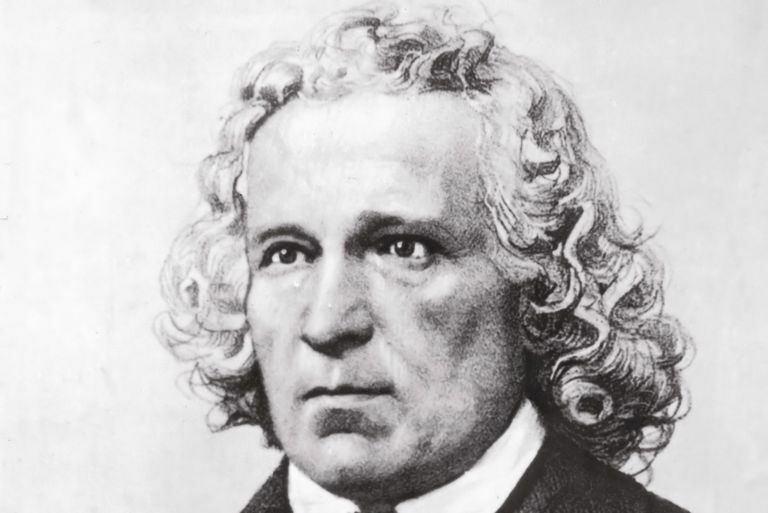 Jacob Grimm (1785-1863), German philologist and coauthor (with brother Wilhelm) of the Deutsches Wörterbuch and Grimms' Fairy Tales. Grimm's Law is a statement of the relationship between certain consonants in Germanic languages and their originals in Indo-European [IE]. Also known as the Germanic Consonant Shift, First Consonant Shift, First Germanic Sound Shift, and Rask's Rule. The basic principle of Grimm's law was discovered early in the 19th century by Danish scholar Rasmus Rask, and soon afterward it was described in detail by German philologist Jacob Grimm. According to Millward and Hayes, "Beginning sometime in the first millennium B.C. and perhaps continuing over several centuries, all the Indo-European stops underwent a complete transformation in Germanic" (A Biography of the English Language, 2012). "In general," says Tom McArthur, "Grimm's Law holds that unvoiced IE stops became Germanic unvoiced continuants, that voiced IE stops became Germanic unvoiced stops, and that unvoiced IE continuants became Germanic voiced stops" (Concise Oxford Companion to the English Language, 2005).